*The MASA scholarship listed above are for reference purposes only. The Masa Israel Scholarship department determines the amounts awarded to each participant. For more information about Masa Israel funding please click here. Please note: Payment for the program is non-refundable 2-weeks before the program begins. The price includes the $50 application fee. 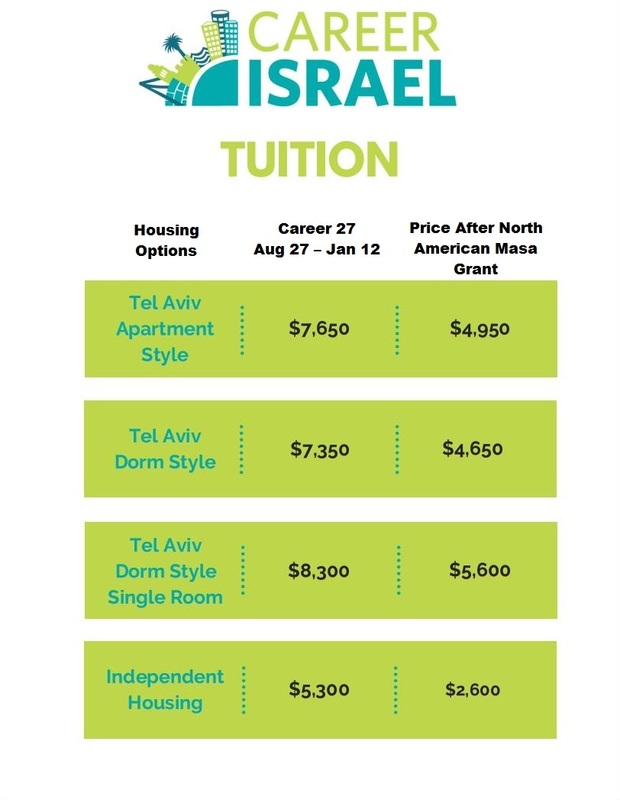 The cost of Career Israel covers housing, insurance, placement services, transportation to and from your internship, staff guidance, an in-depth orientation program, Hebrew instruction, trips and tours throughout Israel. Some housing options may be limited.